Whereas Christmas season is often heralded as the most wonderful time of the year, Halloween is right up there for many children and those who are simply young at heart. 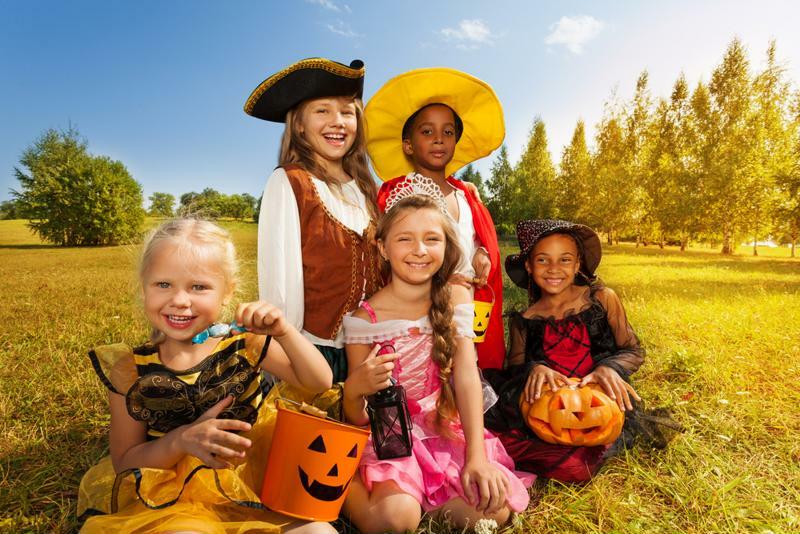 It’s hard not to get swept up in this spooky season, with people of all ages getting a chance to indulge in both good-natured fun and ample amounts of sugar. Yet we can’t forget that this holiday does have its inherent risks and dangers. According to Safe Kids Worldwide, twice as many child pedestrians are killed on Halloween than any other day of the year. Every child has a certain character he or she wants to go as for Halloween. However, it’s up to the parent to show discretion when choosing that year’s costume, as that mummy or astronaut costume can play a vital role in maintaining safety. Always be sure that your child can move around properly, and that includes use of the head and neck. Face paint and other kinds of makeup are usually preferred over masks, as these won’t obstruct the child’s field of vision. You also need to consider the size of the costume so the child isn’t tripping over it all night. This also applies to the coloring: The best costumes have reflective colors so vehicles and other pedestrians see the child. If nothing else, there are reflective stripes you can add to most costumes. Safety is a major concern every Halloween. Inspect every piece of candy prior to consumption. Limit how much candy your child eats to avoid stomachaches. A survey by Kid’s Health found that 50 percent of parents don’t enforce limitations on candy. Avoid giving your child choking hazards like gum, peanuts and hard candies. Never let a child eat open or unwrapped candy and pieces of fruit. Make sure you have the phone number of your local poison control center handy. If you’re not entirely sure about a piece of candy, err on the side of caution and toss it out. Children should always be aware of the proper etiquette for pedestrians. However, as you and your family prepare for Halloween, you should also include a refresher course on these rules. Even if you or an older sibling will accompany the child – a good idea for anyone under the age of 6 – it’s still important he or she understands what to do out in the world. That means looking both ways at the crosswalk and maintaining eye contact with drivers as they enter the intersection. Air distance calculator Children also should know to use only sidewalks when traveling; if these paths are ever unavailable, then they need to use the very far edge of the road to walk. Finally, never assume the right of way in a crosswalk, as not every car will stop immediately. Flashlight: There are also light sticks that work just as well. Either way, your child should have a personal light source in case of emergencies. Cellphone: This is preferred so your child has a way to contact you if separated. If he or she doesn’t have a phone, then your child needs to carry a copy of your mobile number. Whistle: It’s easy to get separated during most Halloween outings. A whistle can alert you of your child’s location and ward off potentially harmful strangers. Glow-in-the-dark bags: Similar to reflective decals and stripes, the right bag can provide another light source. If your child is old enough, you may also want to consider providing him or her with a map of your walking route. This is a great tool so he or she can either catch up with you when separated or stay on-route as you continue searching. With Halloween falling on a Saturday in 2015, there are genuine concerns about finding proper medical care. Fortunately, you can take your child to a CareWell Urgent Care location. No matter the time of day on Allhallows Eve, CareWell‘s team of physicians will be available to treat your child’s ailment or injuries.